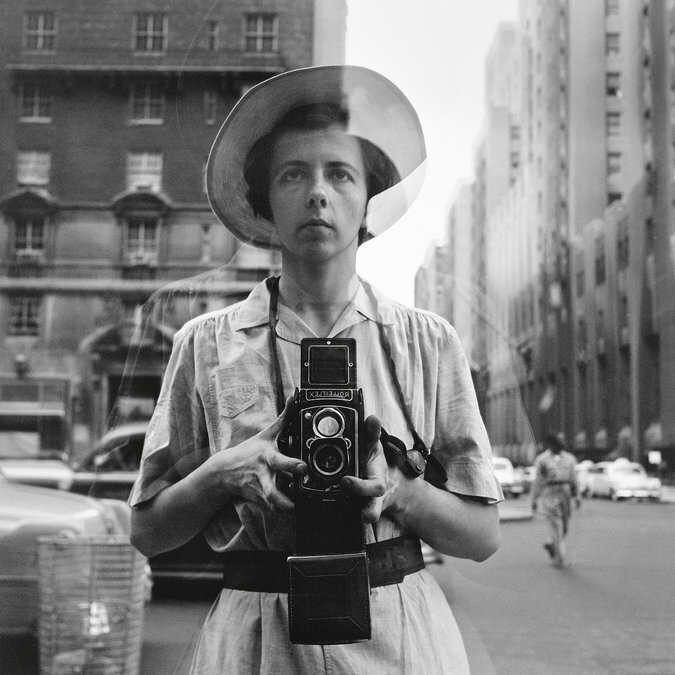 Vivian Maier is arguably the most mysterious photographer to have ever lived, and news of a recent court case to determine ownership of her work only adds to the mystery behind the late nanny-turned-photographer. Maier’s work was completely unknown during her life. She kept her work secret, taking hundreds of thousands of photographs that no one ever saw. Her work has been hailed as some of the most prolific artwork of the 20th century, and hundreds of her best photographs are shown in museums and galleries all over the world. But Maier never determined who would own all her work after her death, and now a court case in Chicago is threatening to tangle her legacy and could prevent her work from being seen for years. Maier is well known for her candid street photography in New York City and Chicago during the 1950s and 1960s. She was born in New York City and traveled frequently to France, where her mother was from. She later moved to Chicago, where she worked as a nanny. Maier shot with a Rolleiflex camera that she held low at her chest and most of the time she snapped photos without anyone knowing they were being photographed, giving a very candid and unique view of street life and people. But her best work is shown through her unique and stunning self-portraits. The question of why Maier never showed her work to anyone has stumped the entire art community: why would someone so talented never show her photographs to anyone when she was alive? Her life was shrouded in mystery, and perhaps it is that mystery that drew so many people to her work. One such person was John Maloof, an art historian who discovered Maier’s negatives in an art auction. Maloof stumbled upon one of the most important photographers of the 20th century, and he became obsessed with finding out why Maier was not famous during her lifetime. He went through great lengths to look into her past and family, and discovered that Maier suffered from psychological issues. Maloof found evidence that Maier wanted to show her work through a letter that she wrote to a printer in France. Maier indicated that she wanted to have her photos printed, but Maier would never be able to send her negatives to the printer because she suffered from severe obsessive-compulsive disorder. The families that Maier stayed with while she worked as a nanny told stories of Maier’s erratic behavior. At first, they thought she was just a bit eccentric, but then Maier showed signs of obsessive-compulsive disorder. She was a hoarder and would keep piles and piles of newspapers stacked in her room so high that they would nearly touch the ceiling. Maier always claimed that she would get around to sorting through the newspapers, but never did. Perhaps this explains why Maier took so many photographs but was never able to print them. She wanted to sort through her negatives and get them printed, but her obsessiveness got in the way and she could never get around to actually editing her photographs. Maloof owns the majority of Maier’s works and launched Maier into the art scene. After discovering her negatives, Maloof spent his own money to print her photographs, and then took them to museums and galleries to show her work. It can be said that Maloof single-handedly launched the career of Maier. He has spent years promoting Maier’s work through galleries, museums exhibitions, books, and the recent documentary “Finding Vivian Maier” which he helped direct. Maloof hired genealogists to find heirs to Maier in France (where her only known family is from) and paid a man by the name of Sylvain Jaussaud for the rights to Maier’s works. It was believed that Jaussaud is Maier’s closest relative, a first cousin once removed. But there is dispute regarding the identity of Maier’s closest relative, and a lawyer believes that Maloof does not have the right to exploit Maier’s work. A lawyer and former commercial photographer, David C. Deal, tracked down Maier’s heir and discovered that another man by the name of Francis Baille is also Maier’s first cousin once removed. Deal became fascinated by Maier’s work and her life, and took it upon himself to track down her heir. Deal was bothered by the fact that Maier’s work, worth thousands and thousands of dollars, was being sold by people who have no family connection to Maier. Deal filed a court case in Chicago on behalf of Baille, who he believes is the rightful heir to Maier’s work. Deal noted that it is profoundly unfair that those who do not have a family connection to Maier are profiting off her work. The legal battle to determine ownership of Maier’s work could take years in court. This case presents further complication because the only known living relatives of Maier are from France and are not United States citizens. Maier’s work may be hidden from public while the battle for ownership goes on in court. Ownership of copyright, protected under Title 17 of the United States Code, initially vests in the author of the work. Upon death of the author, the ownership of copyright may be transferred by conveyance or by operation of law, and may be bequeathed by will or pass as personal property by the applicable laws of intestate succession. In other words, copyright is property and may be passed on to successors. When the author dies, the ownership of copyright is treated like personal property. The author of the work could choose whom to pass the ownership of copyright to, either an heir or to a third party via a will. However, Maier did not leave a document indicating who her copyrights would pass on to, thus her next of kin would automatically be the heir to her work. Thus, the dispute is in regards to who is her closest living relative that would inherit her property. It seems unfair that Maloof did all the work to get Maier the recognition she deserves, and then for it to be stripped away from him after he worked so tirelessly to make her famous. But copyright law does not reward hard work. Indeed, there is no requirement in copyright law to have “worked hard” to achieve copyright ownership. But without Maloof’s obsession to research Maier and promote her work, there would be no court case today. 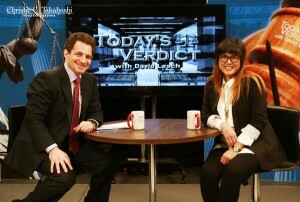 It is only because Maier has now achieved fame and fortune that we see arguments and legal battles, and it is likely that Deal would have not come forth with this legal dispute if there were no fortune to be made (even if he argues otherwise). Maloof can be credited for seeking out Maier’s closest relative, and he did go through great lengths to find her family in France, traveling all the way to the small town where her mother was from and finding her first cousin once removed. It’s not like Maloof circumvented the law and tried to profit off Maier’s work without taking the appropriate course of action. But again, none of that matters, because at the end of the day, the law only cares about who is the rightful heir. As this case gets underway, it is important for the art community to remind all the parties that Maier’s work should be shown for the public to appreciate, and prolonging of a court case would severely hurt the public and education about Maier’s life and work. The parties and lawyers should be reminded that as they attempt to resolve this matter, they should consider more than the financial stakes and remember what the beauty of Maier’s work means to the history of photography and the general public. A social and professional life is possible desperite the desease,Vivian Maier proves it.